Built by the vendors in 1982, on a plot of 403m˛, the property is currently being used as a family home and business. The accommodation consists of two spacious family living areas and 5 holiday apartments/studios, which they rent out during the summer season. One of the family living areas can be easily converted into a further two studios. The apartments are situated on 3 floors plus there is additional sleeping accommodation in the conservatory on the roof terrace, which has internal access to the main house by spiral staircase. All apartments are regularly inspected, meet agency letting standards and are suitable for long or short-term renting opportunities. 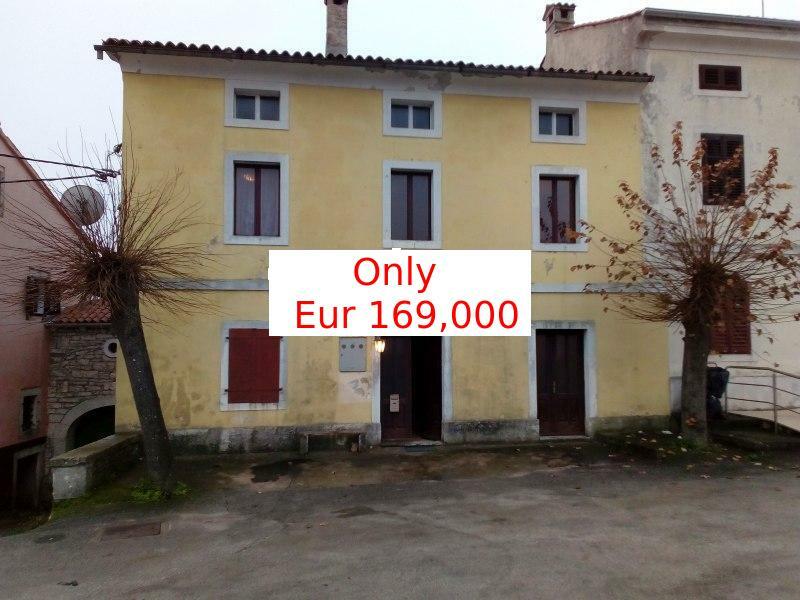 They anticipate that earnings for one season on the holiday apartments/studios could be in the region of €20,000. 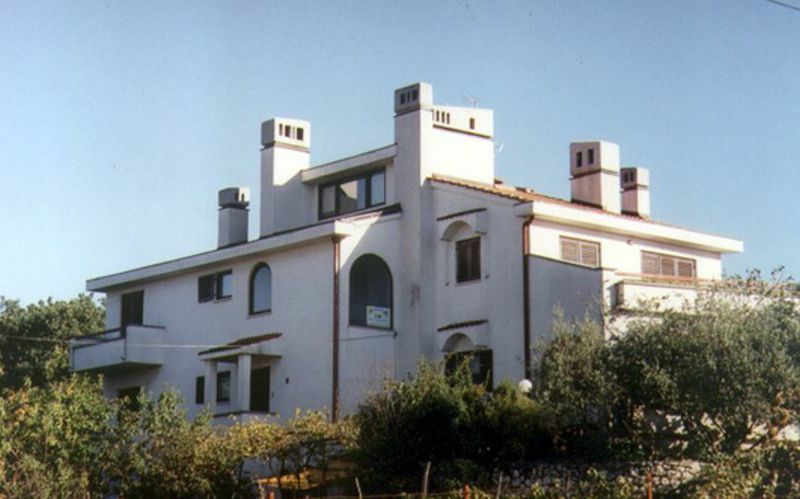 The property is on a 403m˛ plot and is surrounded by Mediterranean trees and bushes, such as oaks, vines, olives and figs. The living accommodation comprises 390m˛ and is built on four levels - three accommodation levels and an additional roof terrace. Access to all floors is available both internally and externally. The inner staircase is spiral and connects all levels from the ground floor to the roof terrace. The cellar, built below ground level is the coolest part of the house and for many years was the families wine cellar and cold store. The property is built to a high standard, with brick and internal reinforcement and thermal insulation. Doors, windows and shutters are made from natural woods. All living floor areas are made from Russian Larch, whilst bathrooms, kitchens and terraces are tiled. At present the main family living area is heated by a wood burning stove. All the radiators and pipes are already installed for central heating throughout the entire building, but a gas or oil boiler would need to be purchased. The infrastructure is also in place for a move to solar energy, but further investment would be required for a tank and solar panels in order for this to be implemented. Rainwater is collected into an underground tank (65mł) and can be used for watering or with an additional filter for drinking. Large apartment which can sleep 6. This comprises of: Large spacious family living area with traditional open fireplace and kitchen - 45m˛, Main bedroom with ensuite bathroom and roofed balcony - 16m˛, Large veranda/conservatory - 30m˛, Separate toilet. Beautiful sea views from living areas. At the top of the spiral stairs is a glassed enclosed living area which can sleep 3 people, with panoramic views of the bay, mountains, other islands and the Croatian mainland. There is also a large tiled terrace with the same views which has a shower. Malinska is located on the sheltered west coast of the island, about 10km north of Krk town. It has a beautiful tree lined shore with sandy beaches and has been a popular resort since the end of the nineteenth century when it was known as the pearl of the Kvarner islands. 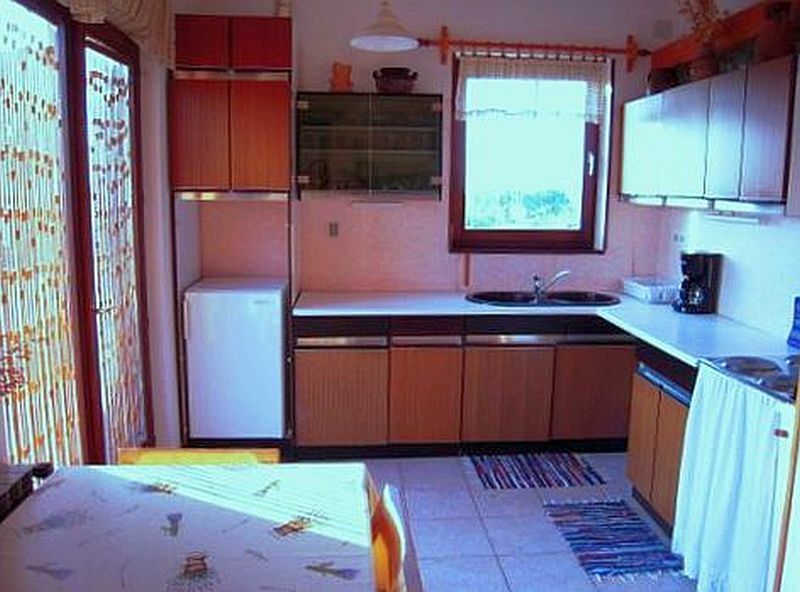 The property is situated on the outskirts of the town, in a rural setting, and offers breathtaking views of Malinska Bay and surrounding areas from the first and second floors and roof terrace. The beach is only five minutes walk away. 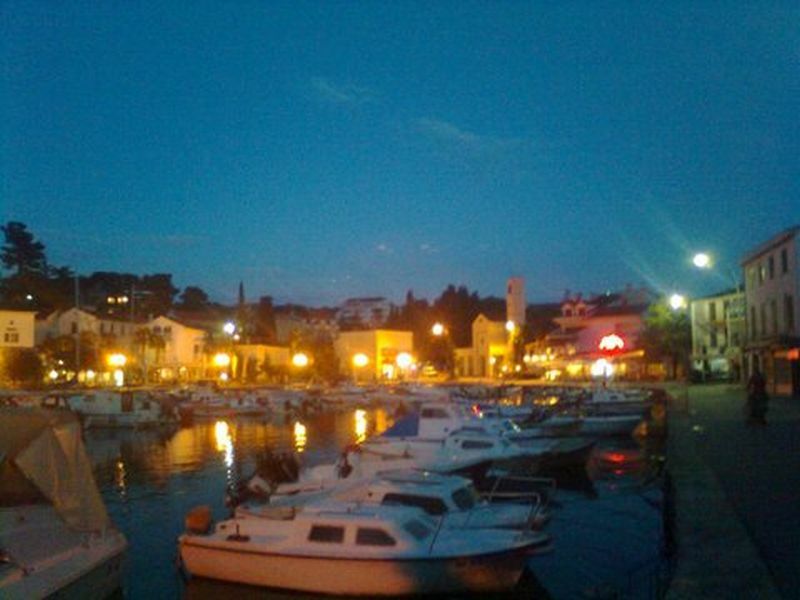 It is only a seven minute walk into the centre of Malinska, with it's shops, restaurants and harbour. There is also a local mini-market within a minutes walking distance. Bus stops servicing the rest of the island and by bridge to the mainland are only three minutes walk away. 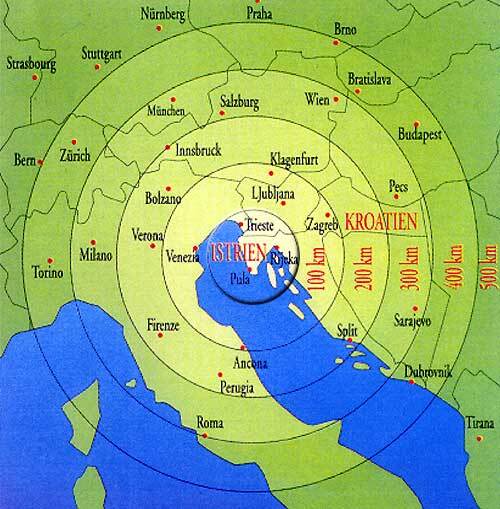 This gives access to the town of Krk, the island's capital (20 mins) and also to Rijeka, the closest city (1 hour). From Rijeka there are further Croatian and European connections. Krk/Rijeka airport, on the island, is only 20 minutes away and has direct international flights to many cities during the summer season. RyanAir offer seasonal flights to London Stansted from both Rijeka and Pula Airport, which is 1 hour away, or slightly longer in busy periods.